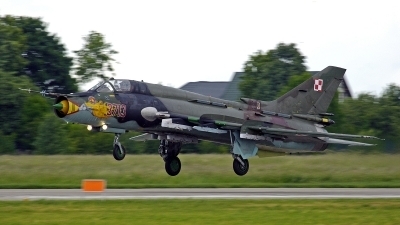 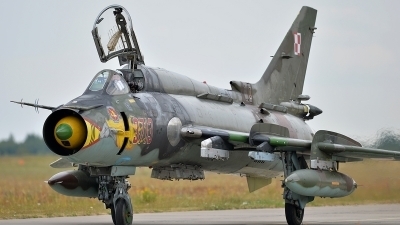 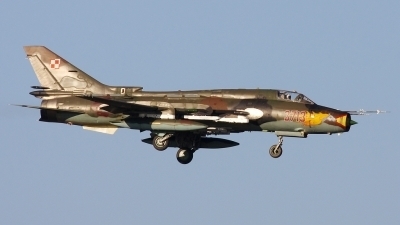 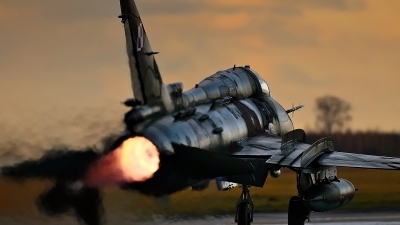 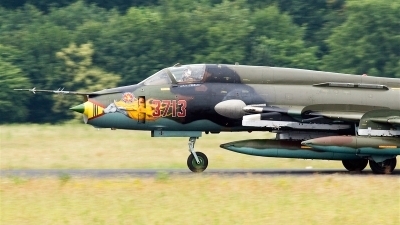 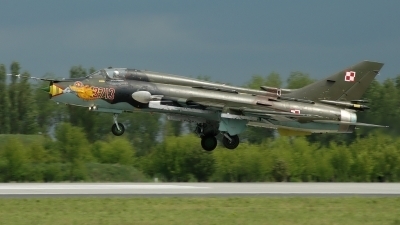 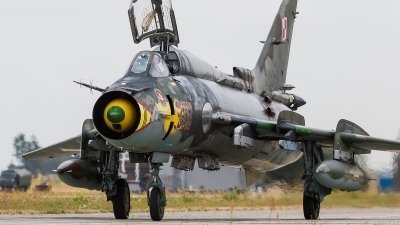 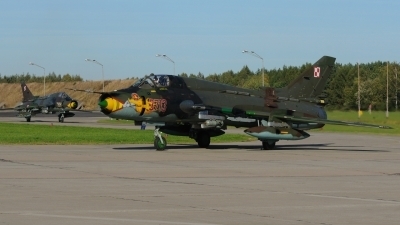 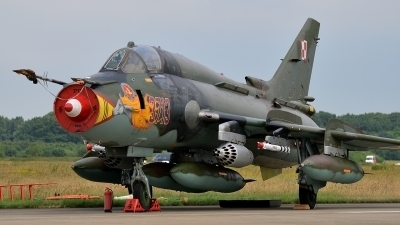 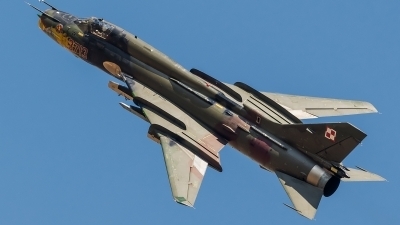 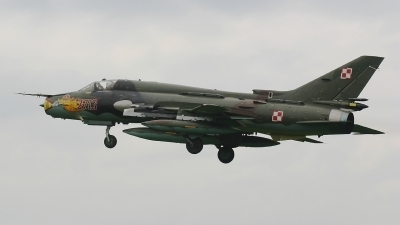 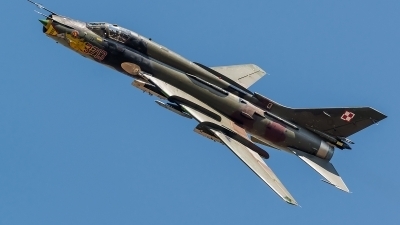 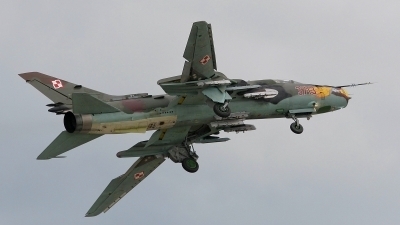 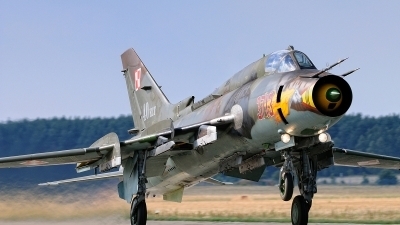 Radom Airshow 2015; most fighters for the flight pass at Radom flew from Minsk-Mazowiecki. 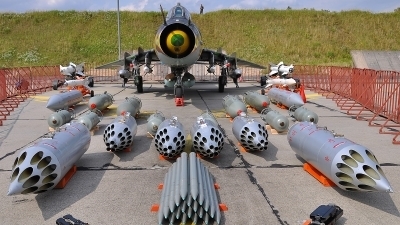 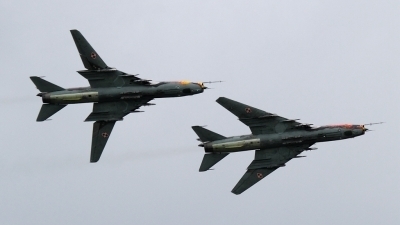 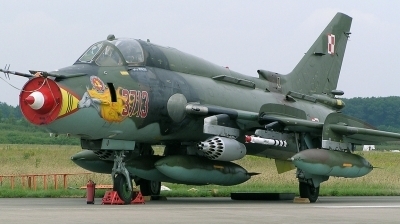 Opportunities for armament of the Su-22, presented at Swidwin open house 2014. 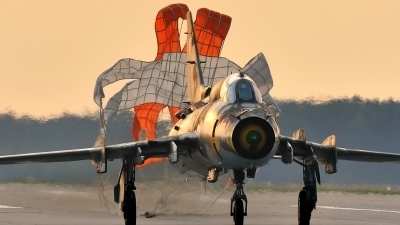 Came back in wonderful evening light! 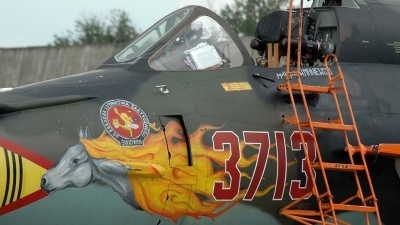 Detail of badge 40. elt and "Horse with flames" at nose. 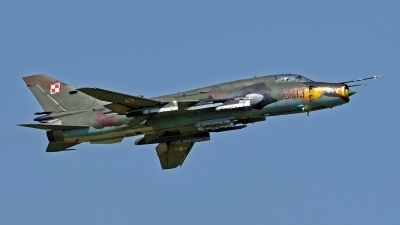 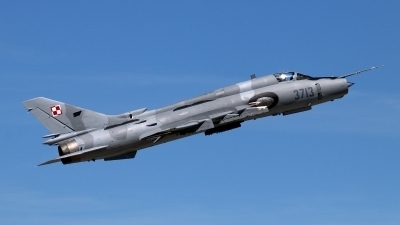 Su-22M-4 from 40. elt (tactical aviation sq.) 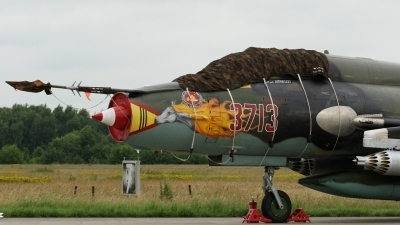 is arriving on "Commanders meet 2007." 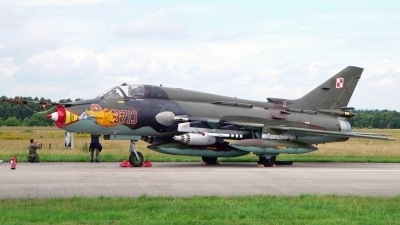 Home base this plane is 21. blot (AFB) Swidwin. 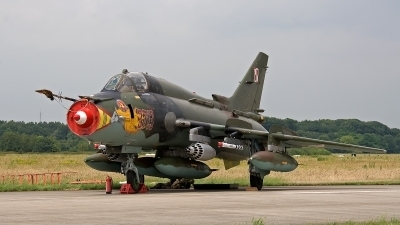 At nose is beautiful marking of 40. elt - white horse with flames.